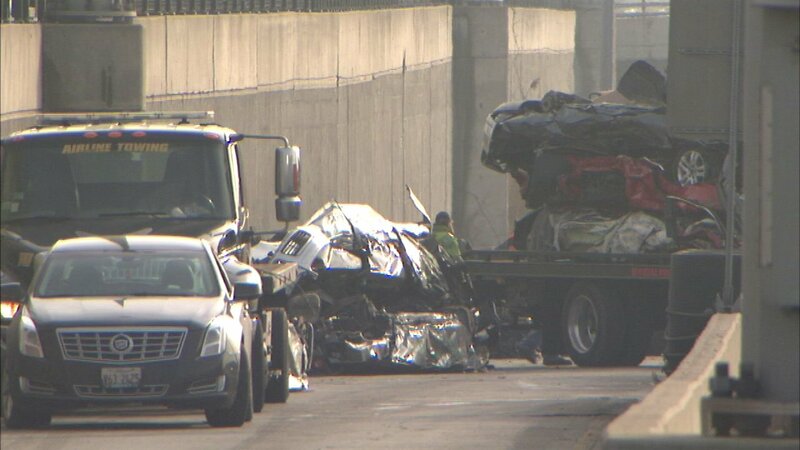 CHICAGO (WLS) -- Traffic was delayed Tuesday afternoon on the inbound Dan Ryan Expressway at 47th Street after a car carrier lost several crushed vehicles onto the expressway, Illinois State Police. Lanes were closed briefly, but were reopened, police said at 2 p.m.
A car carrier lost its load of about a dozen cars, which police described as undriveable, crunched up cars. Tow trucks removed the debris and all lanes were open as of 2 p.m.